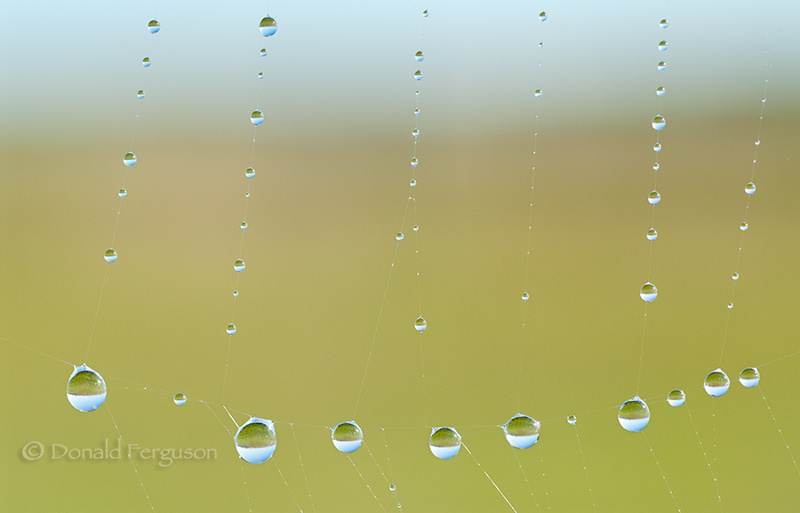 I love the wide open spaces of south-western Saskatchewan for taking landscape and nature photographs but one of the things that I miss from the north-east is dew. Now we do get some dew down south but not like further north where pretty much every summer morning is going to begin with a heavy dew and with it comes the opportunity for shots like this. Without the dew a spiderweb is cool but once it is covered with the sparkling little morning jewels of summer it becomes magical.